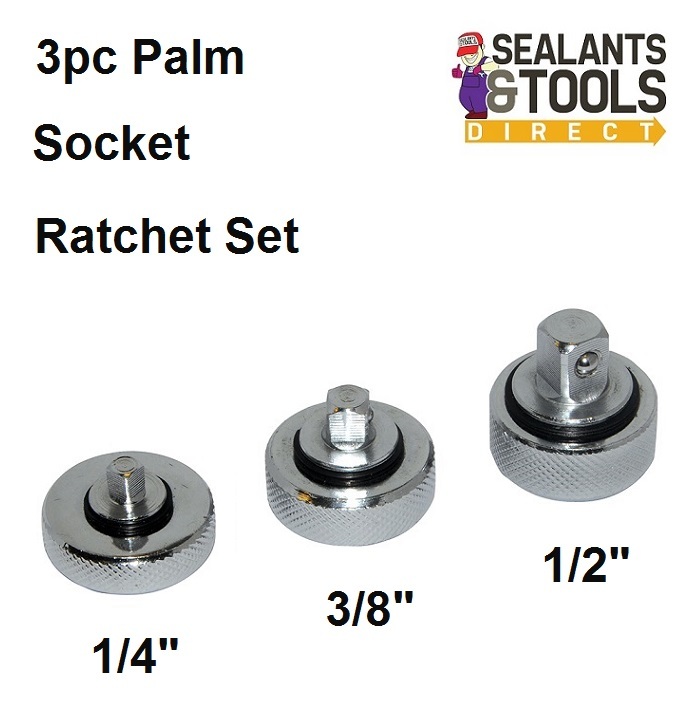 Silverline Palm Socket Ratchet Set 3 Sizes 380552 1/4" 3/8" 1/2"
Palm Socket Ratchet Set 3 Sizes 380552 1/4" 3/8" 1/2"
Chrome alloy steel palm ratchets. Ideal for low torque applications. Can be used with hex head screws, nuts and bolts with the correct socket types attached.